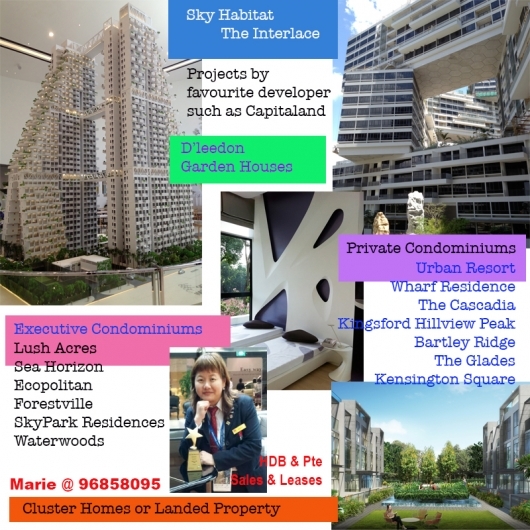 With the real estate market always reacting and responding to the dynamic changes in global situations, people sentiments, we need to be aware of macro factors as well as understand how all these changes will eventually affect the microcosmic issues of supply, demand and pricing as well as location of property. I am a professional consultant in this area. I believe in giving sound, objective advice and quality service to my clients when they engage my service as a real estate consultant or advisor. 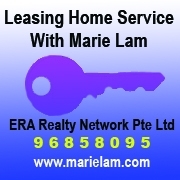 It could be a sale or a purchase or simply to lease out or to find a suitable rental. 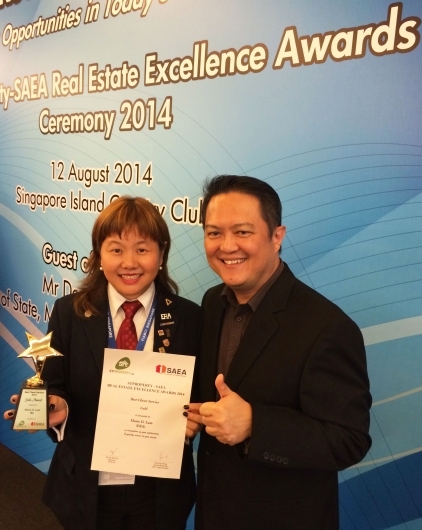 Being honest, responsible and having integrity as a real estate professional is important to me. 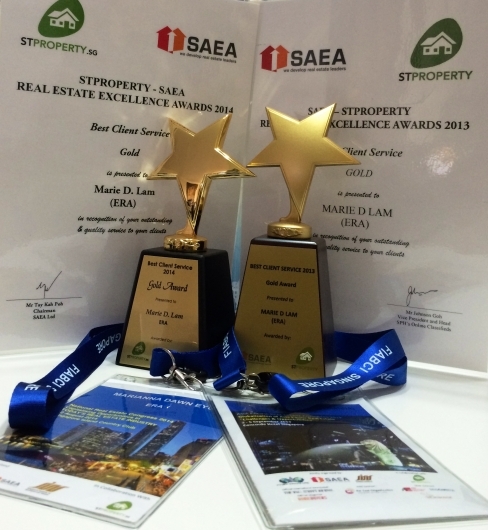 SAEA and ST Property has given me the opportunity and platform through FIABCI and SISV during APREC 2013 to achieve and win the one and only one Gold Award for Best Client Service Award 2013. 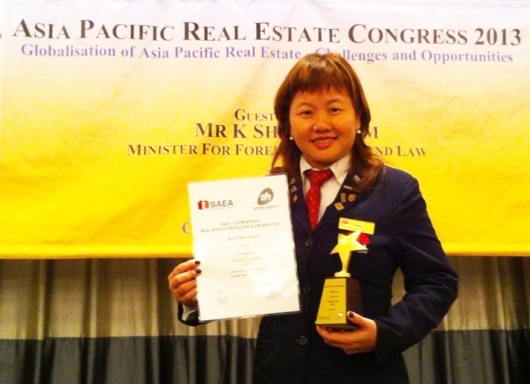 In 2014, during the National Real Estate Congress, I am honoured & priviledged once again to be chosen among so many real estate agents to win the Gold Award again for Best Client Service Award 2014. The rigorous interview with their high standards of criterion to seek out the right agent for the award made my achievement of winning this, a very honourable and humbling experience altogether. I would like to dedicate this award back to all my clients who have, in all these years, given me their encouragement and support and they continue to believe in me. Your continuous support is my inspiration to always do better and the best is always yet to be. My clients support me with strong referrals because they have experienced my service and believe in me. Please continue to encourage me with your continued support. When you engage me as your personal real estate advisor and consultant, I will ensure your transactions such as lease, sales and purchases of your homes go smoothly without hitches and you can be assured that I will keep my practice legal and ethical. My performance in my work has been consistent as I strive to work with my clients, to assist and advise them in their investment choices and financial planning for the best win-win scenario. 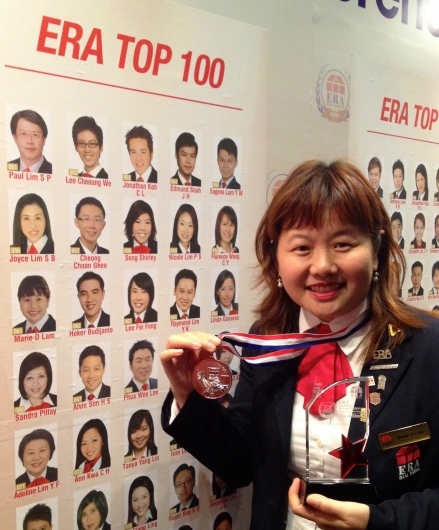 Ive maintained being in ERA's Top 300 Achiever's list to date annually. 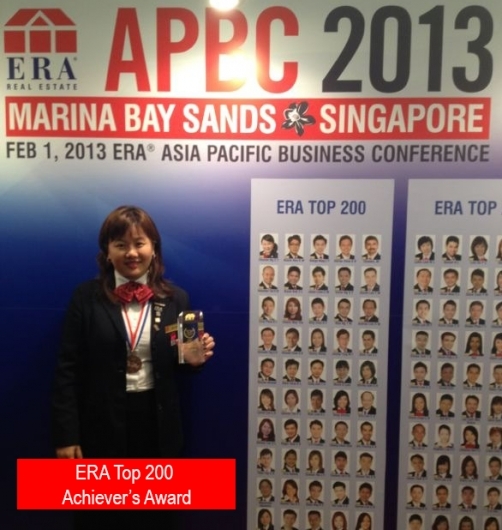 This shows my commitment to my work as well as my clients and to my team. 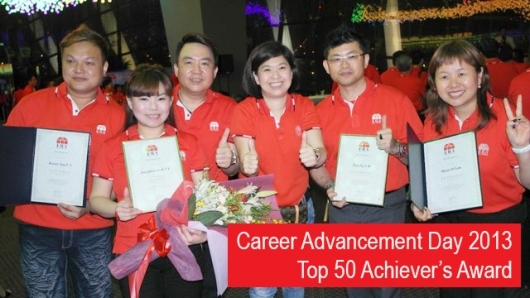 My Coach and Mentor, Mr Zac Huang, co-founder of Preeminent Group, together with Mr Kevin Lim and Mr Alex Lim, manages the biggest and fastest growing team that provides training and supports any willing & hardworking real estate agents to be groomed from rookies to top achievers. Join the right team! Call me to find out more @ 96858095 as I have a group of sociable, fun and able agents who work hard and play hard to achieve a good balance of family and work life. 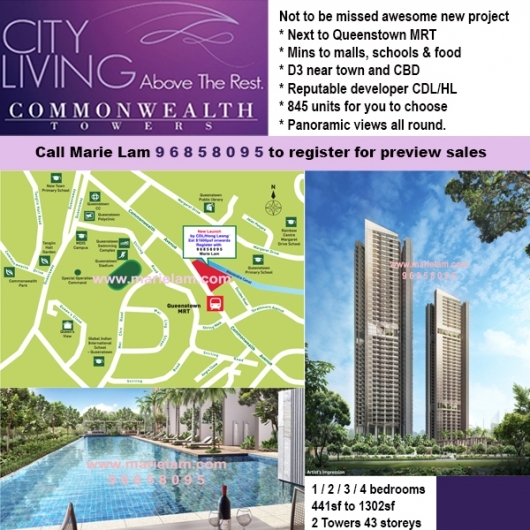 Do call me to enquire about the new launches I market too and also my re-sale listings in areas that I am active in. These are the various ERA projects and resale properties I am marketing and more will be added to the palette as time allows. Hence the list is not exhaustive. 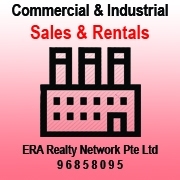 For Commercial Strata-titled spaces, Industrial B1 and ShopHouses - HDB or Private, I will be able to assist you as well. To join my division and group, we have a regular schedule of talks and free training. 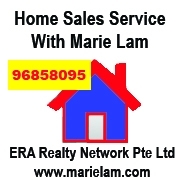 Just call me at 96858095 for enquiries and assistance.